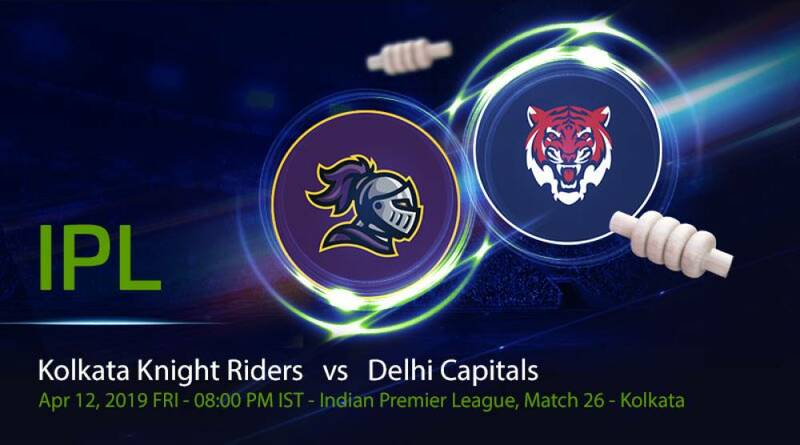 Delhi won their first match since 2012 at Eden Gardens on Friday after a comfortable win against the Knight Riders. Kolkata Knight Riders scored 178 in 20 overs which was overcome by Delhi easily with 7 wickets and 7 balls remaining. Shikhar Dhawan missed a century as he scored 97 not-out to see his team through till the end. Earlier, Shubman Gill and ever dependable Andre Russell helped KKR reach 178 in the first innings. The hundred run partnership between Dhawan and Pant, a first this season for Delhi, helped the guests turn the table on KKR at Eden Gardens. With this win, the Delhi Capitals moved to the 4th spot while KKR remain at 2nd rank behind CSK. KKR would have hoped to roll over Delhi at home on Friday given that Delhi failed to win a match here since 2012. However, firstly they failed to put enough runs on the board and then they ran into Dhawan and Pant to lose the match comprehensively. Losing the toss batting first KKR had a disastrous start when Joe Denly was bowled on the first ball of the match. Robin Uthappa and Shubman Gill took them to 63 in the 9th over when Uthappa gloves one to Pant. As Gill got out at a team score of 115 in the15th over, it seemed the stage was set for another Russell show. He did do the damage but could not carry on till the end. KKR lost wickets regularly in the last 5 overs and could eventually score 178 in 20 overs at the loss of 7 wickets. Probably 15-20 runs short on this surface. Defending 178, KKR made the first strike in the third over removing Prithvi Shaw. They got Shreyas Iyer too for a run-a-ball 6 in the 6th over. But then they had no answers to Dhawan and Pant who put on a hundred-run partnership to virtually seal the game for Delhi Capitals. Shubman Gill top-scored for KKR with 65 in just 39 deliveries at the strike rate of above 165. Andre Russell again proved his worth with a quick-fire 45 with a strike rate of above 210. Chawla’s 14 off 6 took the score beyond 170. Prasidh Krishna was the peak of the bowlers picking up 1 wicket for 25 in 3 overs. Russell and Nitish Rana took one wicket each. Ferguson, Chawla, and Brathwaite all went for over 12 an over. Delhi Capitals are a new team with new coaches. That means they do not care about the dismal history of Delhi at the IPLs. At Eden Gardens they showed that they are not going to be the pushovers everyone expected them to be and registered a massive win over KKR to move up to the 4th rank in the table. Delhi chose to field first on this batting paradise. Sharma got Denly on the first ball of the match to set the tone for the game. Delhi were patient when Gill and Uthappa were striking it well. As soon as they got Uthappa, Delhi tightened the screws and did not allow Rana to score freely. Dinesh Karthik and Carlos Brathwaite could not get going either. But Russell posed a serious threat in the end but Morris cut short his exploits to restrict KKR under 180. In the chase, Prithvi Shaw and Shikhar Dhawan started briskly at the start of the innings but Shaw edged one from Prasidh Krishna to give a catch to Dinesh Karthik. Shreyas Iyer’s stay at the crease was short as well as he also got out inside the powerplay. KKR were looking for wickets at this moment but Rishabh Pant joined hands with Shikhar Dhawan to put on 105 run partnership. Dhawan narrowly missed a century but more importantly, Delhi won the game. Ishant Sharma was the most economical bowler for Delhi Capitals giving away just 21 runs in 4 over. He bowled a maiden and also picked up a wicket. Chris Morris Rabada and Kemo Paul all went for about 10 an over but each of them picked up a couple of wickets. Shikhar Dhawan top scored with 97 at the strike rate of above 150 and Rishabh Pant scored 46 with similar strike rate to take Delhi to a rare victory at Kolkata. After a comprehensive loss at home, the KKR would play Chennai Super Kings on 14th April at Eden Gardens. This is an encounter between the top two teams in the table and would be a fierce one. The knight riders would have to bring something new to the table in order to challenge CSK who have been the strongest team of the tournament so far. A confident Delhi, after a rare win at Eden Gardens, would take on Sunrisers Hyderabad in an away encounter on 14th April. The earlier encounter between these two teams was easily won by SRH. Delhi, on the other hand, have performed better away from home this season winning 3 of the 4 away matches. They would be keen to continue that record. 26 Apr 2019 15:30 Shoaib Z.